Parkour training is a recreational sport that offers many health benefits. Are you willing to try it out? Parkour Training: Should You Practice Parkour? I need to warn you that parkour training exercises are incredibly intense! It is definitely a good way to sweat and burn calories, but it is not for everyone. Is parkour conditioning more than just a workout? Is parkour training a valuable survival skill or just another fad? The word parkour comes from the French phrase “parcours du combattant,” where the French military use obstacle courses as a method of unique training. Although parkour is known as a recreational sport today, it is actually a tactical skill used to make and keep French soldiers fit and strong. Parkour training is fun and is also a great exercise as it includes running, jumping, and climbing. It is a challenge that requires you to push you to your limits both physically and mentally. Parkour requires strength and agility. So first, you need to condition your body and submit yourself in regular parkour training gym sessions. It’s important to strengthen your muscles before beginning this type of physical activity. It is said that when you exercise, your body releases happy hormones called endorphins. Once your body has already adapted to strenuous activities, you can then start your parkour training. Parkour isn’t all just jumping from one building to another. It makes you aware of your surroundings, and you will have a better understanding of how things work just by looking at them from a distance. You need to have a clear mind to jump your highest. It’s basically finding peace from yourself and your surroundings. Being able to take a few breaths before doing the activity makes you focused, which is very important in parkour training. People who have anxiety can benefit from parkour training since it makes you divert all the negative thoughts into successfully practicing parkour. How much force or energy will you need to get to the desired destination? Parkour requires mental calculation before deciding to take a leap. When you’re cornered by one or two persons in a dark alley while going home, you will immediately think of routes and ways to get away from them. Parkour training can also be a form of self-defense. Saying parkour is for adrenaline junkies is true, but parkour training can also help you channel your adrenaline and make use of it properly. For instance, if you suddenly wake up because your house is burning, your instinct is to jump to the nearest exit. Because you are properly trained, you won’t have to worry or doubt yourself in making the jump. In parkour training, the universe is your playground. It’s fun to find creative ways in maneuvering your surroundings. It makes you explore and it challenges your mind like a child on the playground. Build your parkour skills alongside others who enjoy making the most of their time outdoors! WORKOUT in a creative new way! 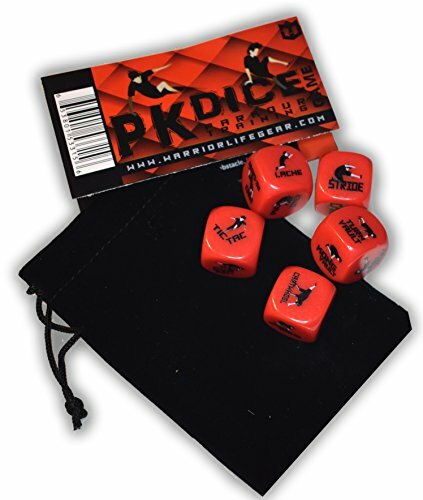 LARGE 19mm (3/4-inch) Durable Plastic Dice with 30 ILLUSTRATED PARKOUR MOVES. Includes black velvet drawstring carrying bag. Includes 14-PANEL INSTRUCTIONAL BOOKLET with illustrations and descriptions of all moves. It is suggested to seek professional instruction, and always train safe! LEARN AND TRAIN Parkour with any number of friends using these dice as an open concept and versatile training tool. Parkour has become incredibly popular on TV and in movies, but is it for you? While it may be tempting to hop in and get started, you must remember, proper training is essential to avoid injury. So if training in parkour sounds like a skill you’d like to add to your collection, please seek out a professional before attempting any of these moves. What do you know about parkour training? 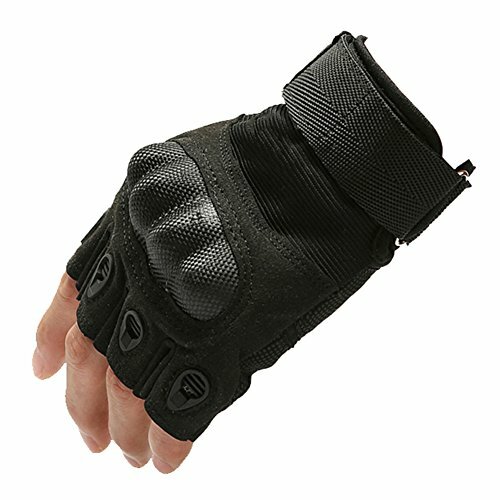 Do you think its something survivalists should utilize? Share your thoughts in the comments section below! Editor’s Note: This post was originally published on June 28, 2017, and has been updated for quality and relevancy.